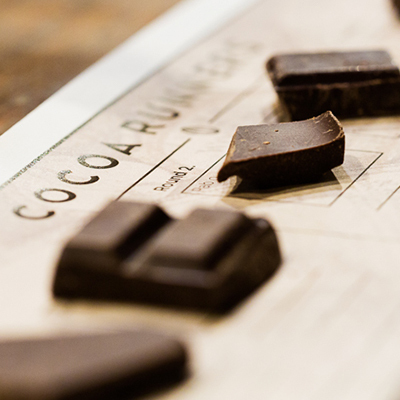 We are delighted to present a craft chocolate tasting flight. This is your chance to taste 24 chocolates from craft makers around the world. We’ve tasting size bars from makers such as Chocolate Makers, TCHO, Chocolat Madagascar, Pralus, Original Beans and Jordis. This gift arrives in a presentation sleeve. We’ve included our tasting notes for your reference, and inside you will also discover a Cocoa Runners Tasting Book and pencil that you can use to capture your own thoughts and reflections as you go. Please note, this gift includes a mixture of milk, dark and white chocolates and some of these products will contain dairy.